"FORGED BY A GOD. FORETOLD BY A WIZARD. FOUND BY A KING." 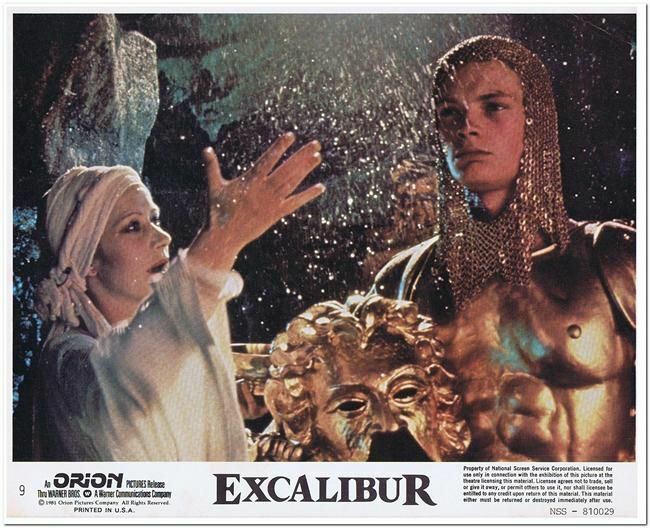 This is an original US "mini" lobby card from the 1981 outstanding fantasy blockbuster film - "EXCALIBUR". It is card #9 that came from a set of nine. It measures approx. 8x10 inches in size. It is in Near Mint condition and has no rips, holes or tape on it. It has been stored in a dry, smoke-free home. It has the NSS Number of 810029 in the lower right hand corner.